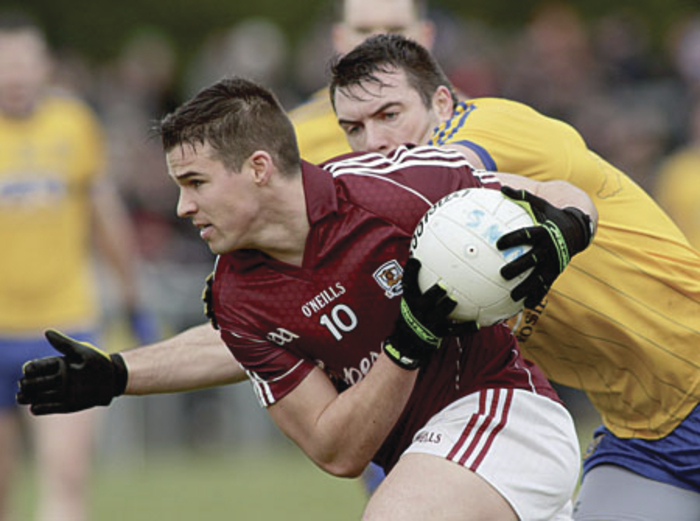 The Galway senior footballers 2015 National Football League campaign gets under way this Sunday with a home tie against Meath at Pearse Stadium (2pm ). It is the first day of spring on Sunday and all Galway football supporters will be hoping the new senior management team of Kevin Walsh and his two selectors Seán Conlon (Barna ) and Brian Silke (Corofin ) will be able to energise their panel to bounce back from last weekend's FBD final defeat to Roscommon and get two points on the board against the Leinster men. The Meath men will provide stiff opposition and they showed good form in the O' Byrne Cup before losing out to Dublin by 1-15 to 1-13 in the semi-final. Dublin led in that game by 1-11 to 0-5 with 15 minutes remaining, but Mick O' Dowd's side roared back into the game and showed a lot of verve and belief to draw level before two late points by Philly Ryan and Eoghan O' Gara saw the 2013 All-Ireland champions finish on top. In last year's Leinster final, Jim Gavin's men gave Meath a good spanking and beat them easily by 3-20 to 1-10 in a game most remembered for an allegation of biting made against one of the Dublin players by the Meath manager. A genuine concern for Galway for the first two league games is that they will be without a large number of players for different reasons. Corofin players Micheal Lundy, Gary Sice, Michael Farragher, Thomas Healy, Ronan Steede and a few others are club-tied until their clash with St Vincent's on Valentine's Day in O'Connor Park. St James duo Paul Conroy and Johnny Duane are also unavailable due to injury, and wing-forward Damien Comer is also out with a finger injury. Regular full-back Finian Hanley is also just back on the scene and will not be up to match fitness for a while. Hence the team this weekend will be down five or six players who realistically would be holding down starting jerseys if they were fully fit and available for selection. Despite those defections, team manager Kevin Walsh is upbeat and realistic about the challenge his players face in three days’ time. And while acknowledging that the squad for Sunday are minus a fair few high profile players, he is hoping those making their league debuts will grab the opportunity. "We will be announcing a panel for the league later in the week and we believe we have a good squad of players to take on the challenges that we will face over the coming weeks and months. “We are down a few players, but that is just the way it is. The newer guys will have a great opportunity to stake claims for regular starting jerseys in the upcoming league games. "Our immediate objective is to try to get some league points on the board, but we also need to bed down a pattern of play and hopefully find a few new and exciting players over the coming months. “Our ambition is always to try to go out and compete, perform and ultimately win all the games. In an ideal world that is what all the players and management teams want." However Walsh knows Meath will be a very tough nut to crack this weekend. "They have some very talented and experienced players such as the Bray brothers, Graham Reilly, Bryan Menton, Mickey Newman and Paddy O'Rourke, who is a fine goalkeeper well able to score from 45s and long range frees. Mick O' Dowd has been with them for a few years now and he will have them coming down to Galway fully focused on trying to get their league campaign off to a winning start. "It will be a sturdy challenge for our lads, but it is one we are looking forward to. Division two has a lot of good teams and there are no easy games in league football now." The Galway team is due to be announced tonight (Thursday ). Mulhollands have Galway as 8/11 favourites for this game, with the Royals at 11/8 to collect the points. The Galway team that started the FBD final last weekend against Roscommon was Manus Breathnach (An Spidéal ), Tom Fahy (Killererin ), David Walsh (Killannin ), Cathal Sweeney (Killannin ), Johnny Heaney (Killannin ), Gareth Bradshaw (Moycullen ), Garry O'Donnell (Tuam Stars ), Fiontán Ó Curraoin (Micheal Breathnachs ), Enda Tierney (Oughterard ), Sean Denvir (Micheal Breathnachs ), Michael Martin (Milltown ), Shane Walsh (Kilkerrin/Clonberne ), Danny Cummins (Claregalway ), Eddie Hoare ( St Michael's ), Martin Coady (Oughterard ).